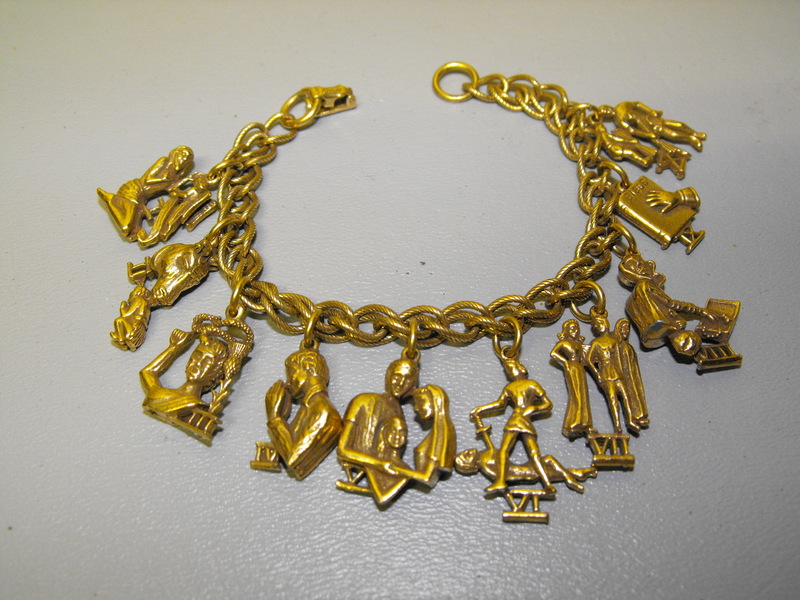 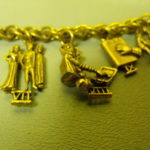 They are all here…..all ten of them….each charm is pictured in terrific detail and each one has a Roman numeral attached to it. 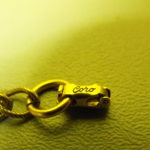 The brass bracelet is Coro signed which makes it rare. 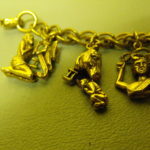 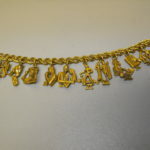 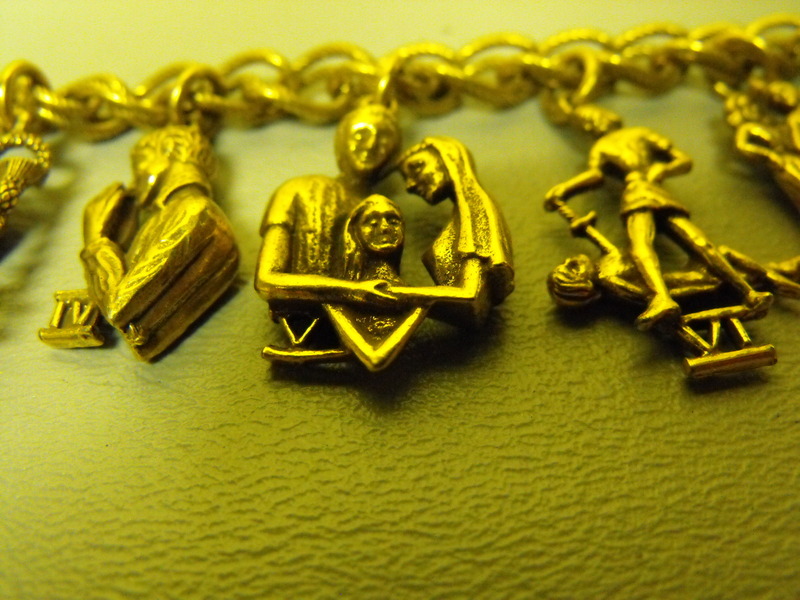 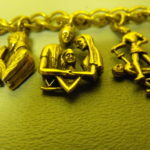 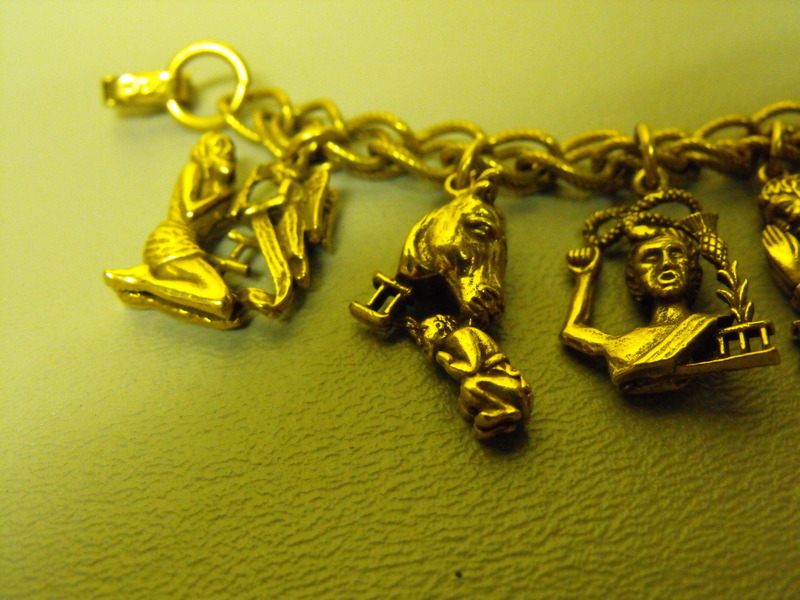 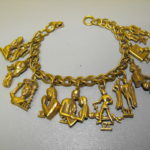 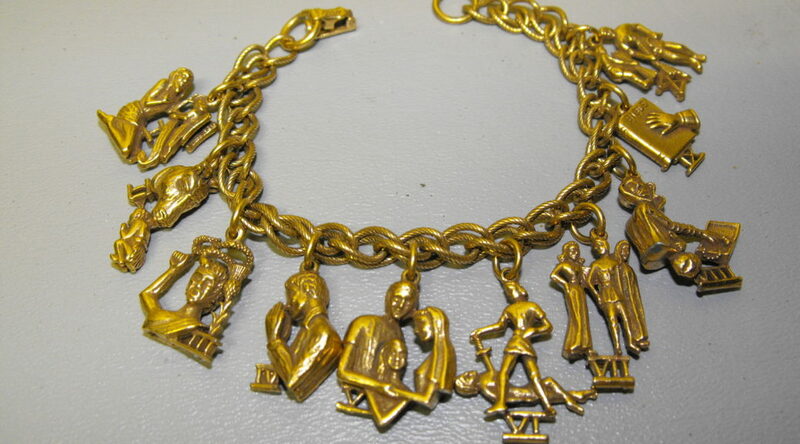 We this bracelet was made in the 1950’s and is in beautiful condition with the charms attached to a rope chain design. 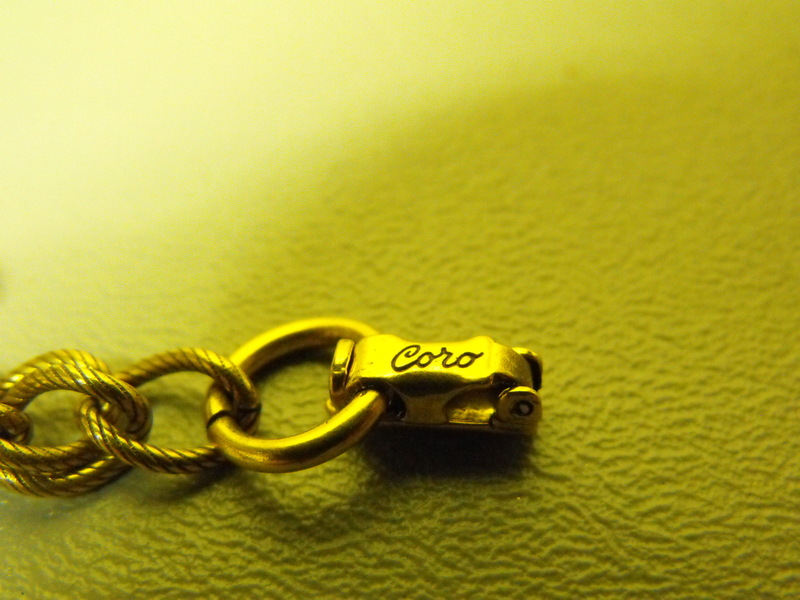 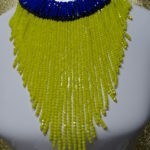 The bracelet is signed Coro on the clasp. 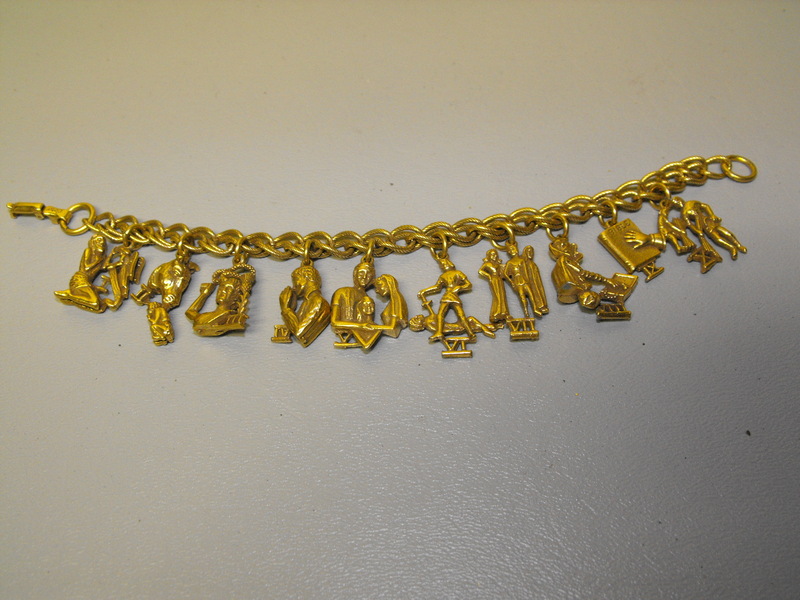 and is about 7 1/2″ long. 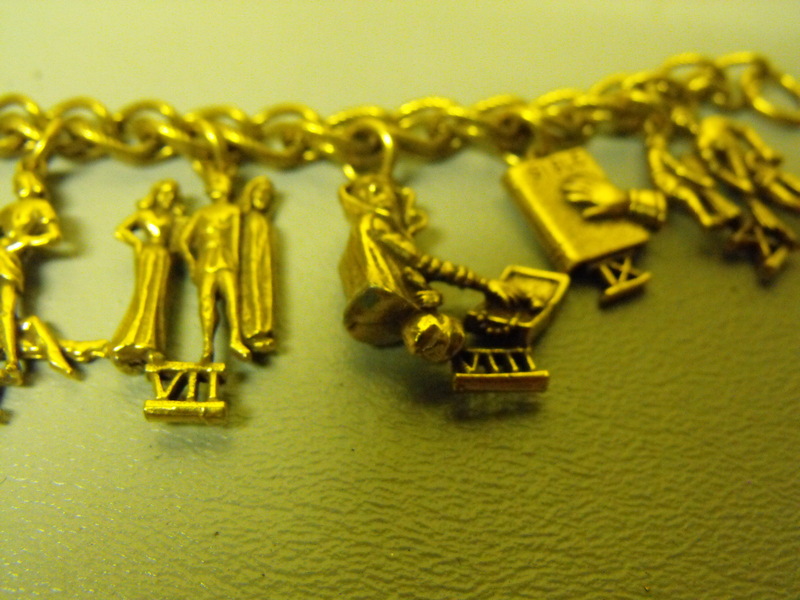 We think wearing this bracelet sends a powerful statement all by itself.